As Chicagoans, if we turn on the news or flip through the paper, instantly all of the awful things occurring in the city are shoved down our throats. The News Anchors are constantly warning us about everything from the corruption of our city officials all the way to the uncontrollable bankruptcy of our schools. For many Chicagoans, especially the underprivileged and underrepresented, it may seem as though there is no escape from the negative things occurring around us. But this past weekend something amazing happened in our city, which was meant to bring a glimpse of hope to the people. On Saturday, March 5th, Serayah McNeill a.k.a. 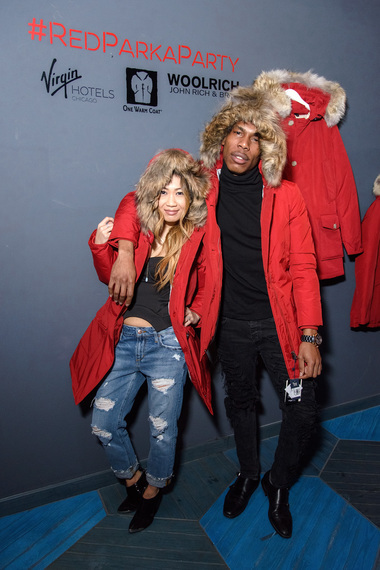 Tiana Brown from the #1 hit show Empire teamed up with national non-profit, One Warm Coat, to help ensure that all of the Chicago Public School kids will have winter coats for the remainder of our city's most unforgiving season. 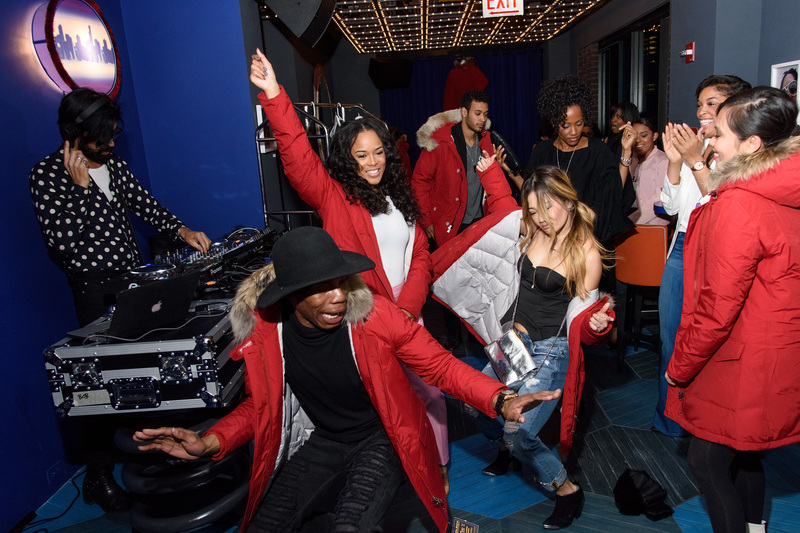 Virgin Hotels Chicago went above and beyond by connecting these two philanthropic powerhouses to put on one of Chicago's most successful events of 2016 thus far. The VIP guest list consisted of Empire cast and crew members, the "whose who" of Chicago, fans of our nation's top show, as well as caring charitable citizens. The people in the room were a reminder of why so many of us cherish the city of Chicago; due to the dashing diversity of the people who filled the room, and the Mid-Western charm that had everyone smiling from ear to ear. When you entered into the beautiful lobby of the Virgin Hotels Chicago, you were immediately greeted by polite staff who directed you to its radiant rooftop. Once at the Cerise Rooftop, you were instructed to drop off your gently used coat into a big red box; which served as your golden ticket to enter this exclusively elegant event. Upon entering the party, it became clear that flawless faces, dangerous dance moves and charismatic conversation would soon began to dominate the party. 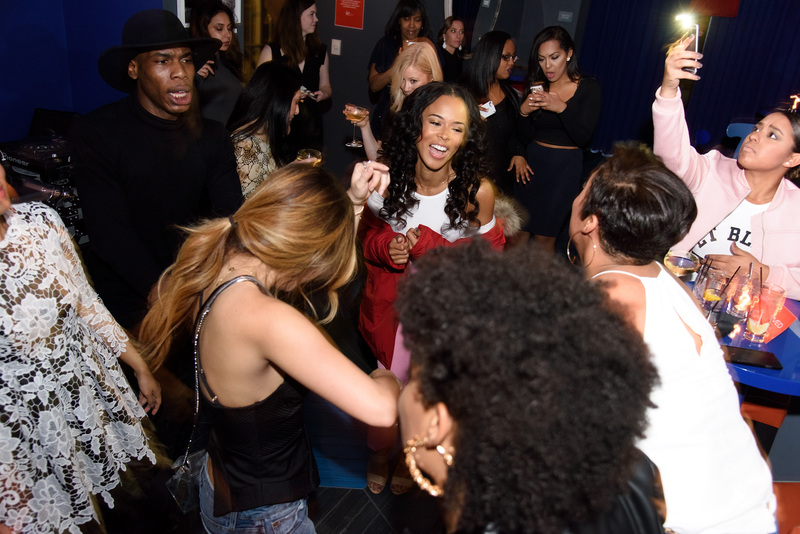 The majority of the night consisted of the 20-year-old TV star sippin' on water while groovin' with her Empire crew to tunes played by the LA-based mix master, DJ Myles Hendrik. The deranged dancing, caused by the superb spinner, wasn't the only thing that kept the VIP attendees warm; Woolwich John Rich & Bros. donated tens of coats for everyone to party in, while 11 lucky guest got to take a spanking new red parka home! By the the close of the night, you could feel the vivacious spirit of the partiers and you saw them carrying that same contagious energy back into our city which so desperately craves it. As the party cleared out, the only thing that remained were good memories and a big red box overflowing with tons of coats that would soon be in the hands of Chicago's children; and at the end of the day, isn't that what the event was all about?